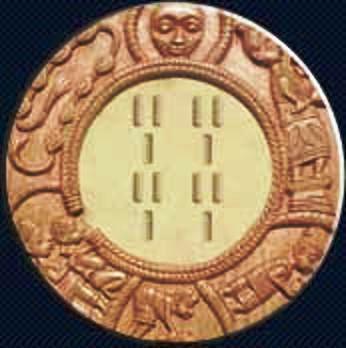 Divination: Ifa divination is a clear and precise look into the energies that are involved in any given situation and also provides answers and solutions for how to deal with any given circumstance that can occur in the universe. For more information about IFA Divination please click here. If you have further questions, please do not hesitate to contact us. Imori: Through this specific ritual called Imori, your head (tutelary) Orisha is revealed. This will help align yourself with your destiny by confirming the bond between you and the Orisha you chose to be with you to assist you on Earth. If you have any questions, please do not hesitate to contact us and schedule your Imori Ritual. Ceremonies and Rituals : Oyeku Ofun Temple would be happy to assist you in your own ceremonies and events. These may include, Weddings, Birth and Naming Ceremony / Esentaye and Isomoloruku, Odun Ifa/ Orisa, Egungun Festival, and many other types of Orisa events. In addition, We host trips to Nigeria for initiations to Ifa, Orisa, Ogboni, for chieftaincy installation ceremonies, etc. We also take people who are interested to visit and not necessarily for their initiation rites. Please contact us for details. Charms and Amulets: Whether for good blessings, wealth, protection, Victory, or prescribed through Divination, Our temple keeps efficacious ifa medicine, charms, and other talisman amulets available. If you have any questions or want to inquire, please not not hesitate to contact us. Orisa Initiation : We perform initiation rites to many Orisa here at our temple. It can be arranged depending on the availability of priests and priestesses. The price of the ceremony will vary depending on some factors such as the cost of materials and the cost of travel for the priestesses to come do the initiation. Ifa Initiation : We perform itefa Ifa initiation rites for any man or woman here at our temple. We perform full itefa and itelodu for our initiates in the traditional manner. Also we train those initiated here and also those who have been initiated elsewhere. Please contact us for training information or initiation information. Ogboni Initiation: Ogboni initiation at Iledi Etigbere is done in the most of traditional ways. Inquire for details. Training and Instruction: Ifa and Orisa Training — We are happy to help train initiates who have completed their initiations here at Oyeku Ofun Temple or elsewhere, as well as those who have not been initiated. The material will be catered to the individual, where they are in their path, and what types of things they are interested in focusing their studies on. We teach our students practical ritual methodology to help support the work of Awos in the diaspora, where getting Ifa and Orisa training can be challenging to say the least. We will train you so you can be doing the work you were born to do. We will be happy to custom design course materials that will best suit your needs and interests. Please contact Apena Fagbemijo Amosun Fakayode at oyekuofun@yahoo.com to discuss. i need your service. The charm and armlet protection,blessings and wealth of your temple. How will i go about it?